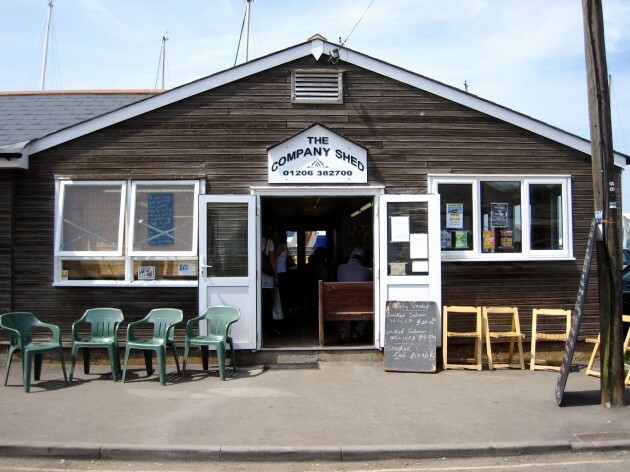 The Company Shed is exactly that – a shed at the end of the Coast Road in West Mersea, Essex. But don’t be put off by the idea of eating in a shed, you’ll be hard-pushed to find fresher seafood. Mersea Island. Yes, it really is an island connected to the mainland by a bridge that floods on a high tide, so take care. There are, however, worse places to spend an hour or so waiting for the tide to go out, and if you are stuck on the mainland side, there is always the Peldon Rose pub to wait in! Heather Hayward started selling fish from local boats and her husband’s oysters – the famous Colchester Natives – from a window in the shed. This led to selling and serving seafood platters. The Shed, now managed by Heather’s daughter Caroline offers hot and cold dishes to eat in or take away and does a roaring trade with a retail fish counter – but with a quirkiness and complete lack of any pretension, which is the hallmark of this great family business. You can’t book a table, so if it’s full you put your name on a list and you’ll be given a time when your table is ready, and this gives you a chance to wander around the island. The Company Shed’s furniture, crockery, cutlery and glassware is part boot sale, part give away with petrol vouchers! The floor is concrete, you bring your own bread and wine, no corkage, (they do sell wine as well), oh and they provide napkins; well it’s actually kitchen roll! 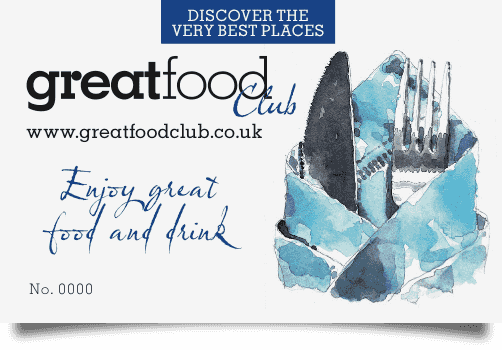 but don’t arrive at lunchtime on a sunny Sunday in the summer months thinking you’ll get a table! 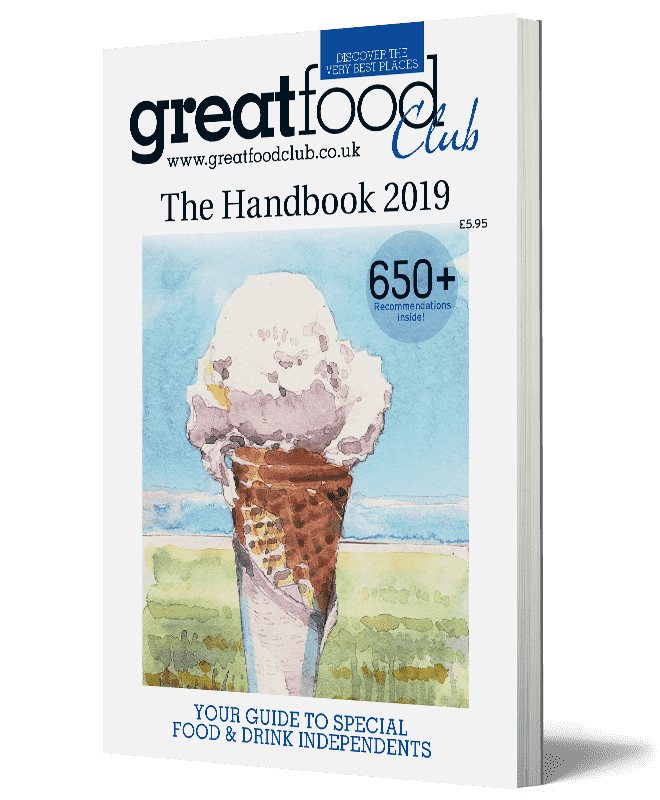 The crabs and lobster are boiled in the kitchen; the smoked salmon is from the smokehouse in East Mersea, where Heather’s son Tom manages their restaurant, Mehalah’s. Everything is kept simple – with produce this fresh it doesn’t need to be complicated. 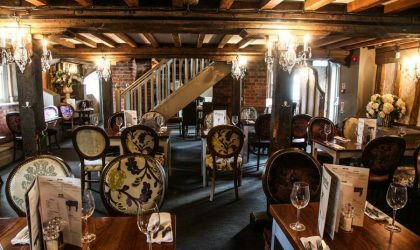 The highlights are the fish platters: spend an hour or two picking over the crabs, prawns and cockles with some crusty bread and a glass or two of ice-cold Muscadet. It doesn’t get much better! This is one of those places that’s hard to describe on paper – you have to visit. 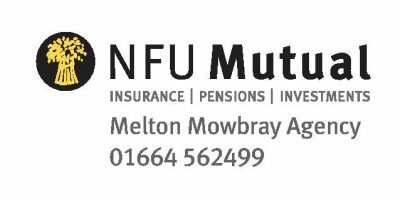 It’s a local institution that has always stuck to its guns, “keep it simple”. 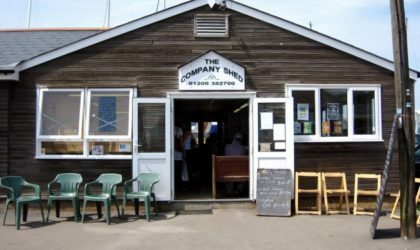 There are other seafood eateries on this part of the east coast, and some very good ones if you know where to look, but for a different dining experience, seafood straight off the boat and a trip to a less well known part of Essex, The Company Shed takes some beating.